Simon & Schuster Books for Young Readers, 9781416991199, 336pp. In the conclusion to the Undertaken trilogy that Publishers Weekly called “a thought-provoking gothic fantasy,” Silas must master his powers and confront a past that is anything but dead. Silas Umber has returned from Arvale, his family’s ancestral home. 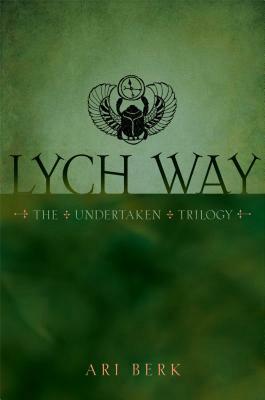 Frantic to retrieve the shade of his beloved Beatrice, he turns his back on the spectral chaos he has left behind, unaware that the malevolence he unleashed has followed him back to Lichport. As his family and friends suffer and fall at the hands of the vengeful Huntsman from Arvale’s sunken mansions, Silas must reach deep into his complicated bloodline to summon powers and wisdom beyond those required of a simple Lichport Undertaker. But the dark and painful secrets of his birth threaten to overwhelm him, and if he can’t lay the ghosts of his own past to rest, Silas may lose everything and everyone he has grown to love and worked to protect.